Upon request, reels can be supplied with drum lengths other than shown and with disc sizes in other diameters. 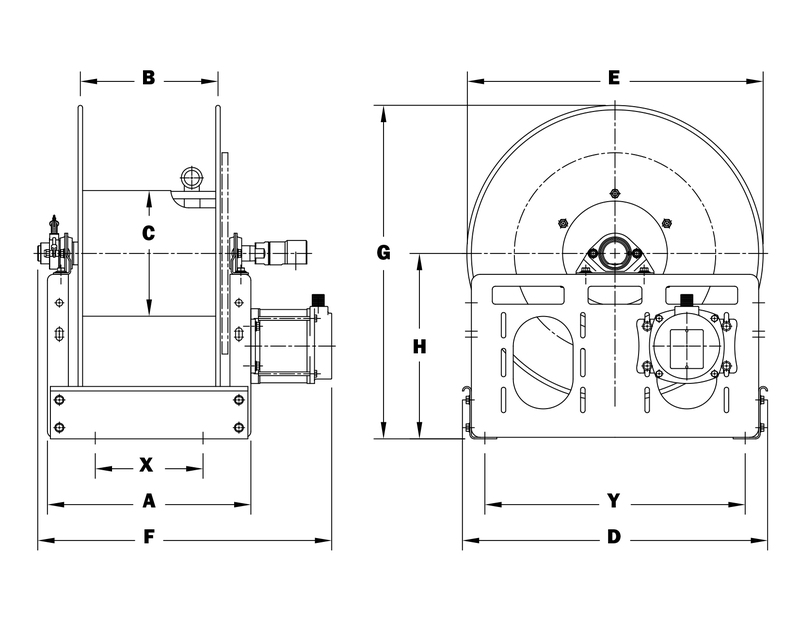 Dimensions shown for reels up to and including 30-31 disc size reflect pressed frames. All others are roll-formed channel frames. Weights shown in chart are for crank rewind models. Add 40 lbs. for electric power rewind. When ordering power rewind models, prefix model number with: A = Air Rewind, EP = Electric Rewind (1/2 hp), HD = Hydraulic Rewind.